Political system: The Republic of Kazakhstan is a presidential state. The Republic claims to be a democratic, temporal, jural and social state. Capital: The capital city of Kazakhstan is Astana located in the northern part of the Republic. 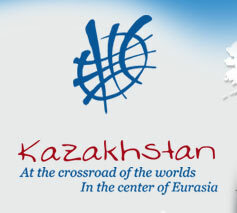 At the same time, Astana is the central point of Eurasia by its geographic location. The largest city is Almaty. Language: The Kazakh language belonging to the Turkic group of languages is the official language in Kazakhstan. Russian is the inter-ethnic language. Currency: National currency is tenge.